Invoice discounting is a process that is used by companies in order to borrow money on sales invoices that have closed. This process involves working with a finance company to obtain a short-term loan on the invoice. Then when the invoice is paid, the money will be paid back to the finance company. One of the primary advantages of using invoice discounting is that you can improve your cash flow situation. With this type of loan, you will basically be getting paid for all of your invoices immediately after you write them. This has the ability to increase your cash flow and your working capital. 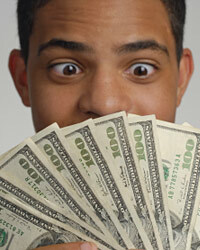 You will not have to worry about having enough money to meet payroll, or pay the utility bills. Another advantage of using this system is that it is set up confidentially between a business and a finance company. The customer will not know that anything is taking place. You may not want your customers to know that you are essentially borrowing money on their promise to pay an invoice. Your suppliers who are taking payments from you will not know that you are generating money through this method either. If they did, they may not be willing to extend terms to you. Another benefit of using invoice discounting is that you will only have to pay interest on the money that you borrow. Another similar system called debt factoring does not allow you to pay interest in this manner. This can potentially save you money in the long run because you pay less interest. Even though invoice discounting can improve your short-term financial position, it can have a few drawbacks associated with it. For example, it can make your business look like it is struggling financially. If you are not really struggling financially and you utilize this method, it can look like you need to borrow money just to meet short-term obligations. If one of your suppliers finds out about this, they may want to get rid of any financing terms that they have set up for you because they think that you are in financial distress. When you are using your invoices as collateral for a short-term loan, it may make it more difficult to get other types of more conventional loans. Many times, when you are trying to get approved for a business loan with a traditional lender, you will include the accounts receivables as part of your collateral. When you get involved with invoice discounting, the invoice becomes an asset of the finance company. This means that you can no longer use it as your collateral and it may be more difficult to get approved. Another problem with invoice discounting is that it tends to get you in a hole that you cannot get out of. When you are relying on immediate payments to pay your bills, you may never be able to get ahead and stop using invoice discounting services.